Architects Niall Mclaughlin are a practice that puts a strong emphasis on the inventive use of building materials, the qualities of light and the relationship between the building and its surroundings. 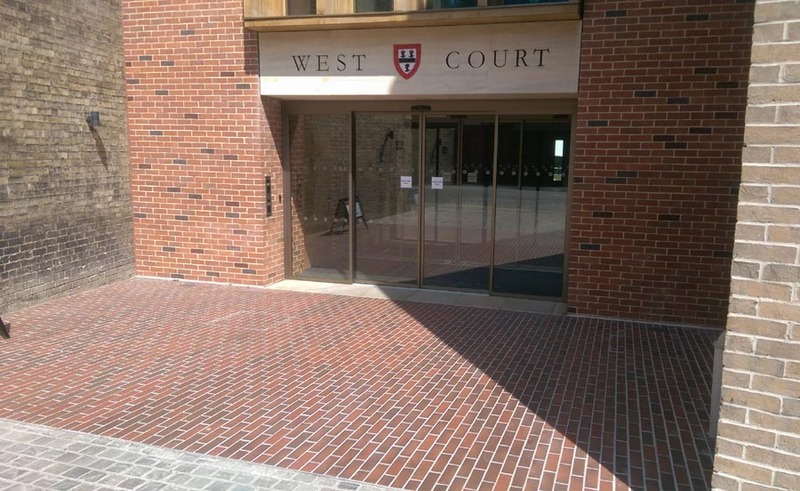 At Jesus College Cambridge, the project was to refurb and extend a Grade II listed building and staying within the historic footprint of the building was a key requirement. 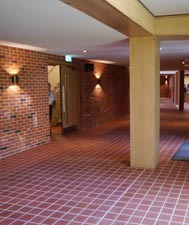 Tom Mcglyn, the project architect explains "there were already old terracotta square quarry tiles in use internally in the existing circulation areas and there was considerable brick used within the building. 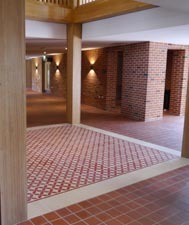 Internally, we wanted to use a robust material for the floors in the circulation areas, a material that could even be external, and Ketley red square quarry tiles fitted this brief whilst also paying homage to the existing square quarries and the brick lined walls in the new design". 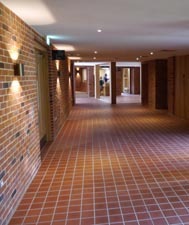 Externally brick sized quarry tiles in light multi were used. 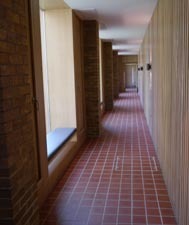 They sit perfectly with the existing language of the adjacent listed buildings.